Laughter may the best medicine, but hearing aides don’t hurt either. Scarlet was born three months premature and treated for intestinal problems with antibiotics that ended up damaged her hearing. Carol Benjamin was unaware until recently that her daughter’s hearing was actually impaired, but she saw the proof for herself last week when the family experienced the baby’s delighted reaction to hearing her older sister’s voice clearly for the first time. 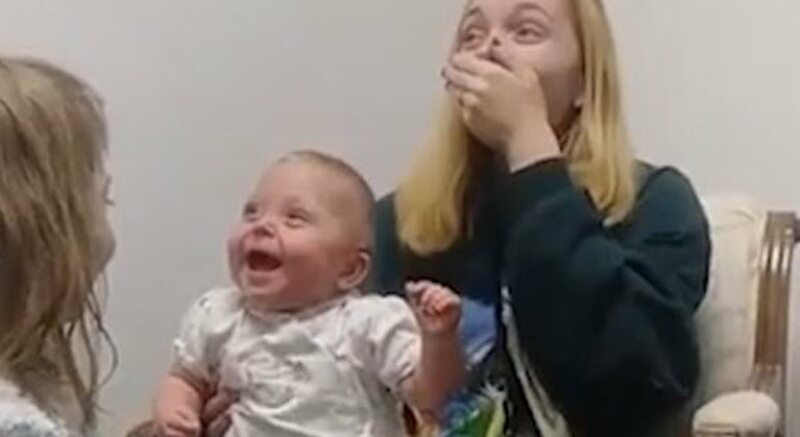 Because the youngster’s reaction was so priceless, her mother posted the video of Scarlet using the hearing aids at the Atlanta Hearing Associates in Milledgeville, Georgia.